This weekend, spend time with your family getting your scare on at Spooky Terminal in Jersey City or at All Hallow’s Eve in Farmingdale, seeing animals while celebrating Halloween at BOO at the Zoo at Cape May County Park/Zoo, celebrating the Irish culture at the Irish Festival in Bayonne, plus many more kid-friendly fairs and festivals in New Jersey this weekend. The best costumes around will be in full effect at the Arts Council of Princeton for the Annual Hometown Halloween Parade. The Palmer Square Green in Princeton will be the perfect venue for your entire family to enjoy the music of the Princeton University Marching Band before the Parade. The festivities continue at the YMCA with live music, a bounce house, trunk or treat, food and drink, crafts and family-friendly activities, and plenty more. The Harvest Festival is here just in time for all families to celebrate. This remarkable family event will feature the best of music, free food, games, entertainment, and more fun for the entire family. Operation Halloween is a charity Halloween festival that includes both scary and kid-friendly fun that is hosted by the Southern Ocean Rotary Club and The Jersey Shore Council Boy Scouts of America. This jam packed event is loaded with kids games, activities, and great food. The whole family can trick or treat, roam a hay maze, paint a pumpkin, or make their own scarecrow at the many booths hosted by local non-profit groups. There are also plenty of Haunted Attractions and tours to enjoy all day long. Lastly, your family can climb aboard the tractor for the Jersey Devil haunted hayride and see the worst that the haunted New Jersey Pine Barrens has to offer. 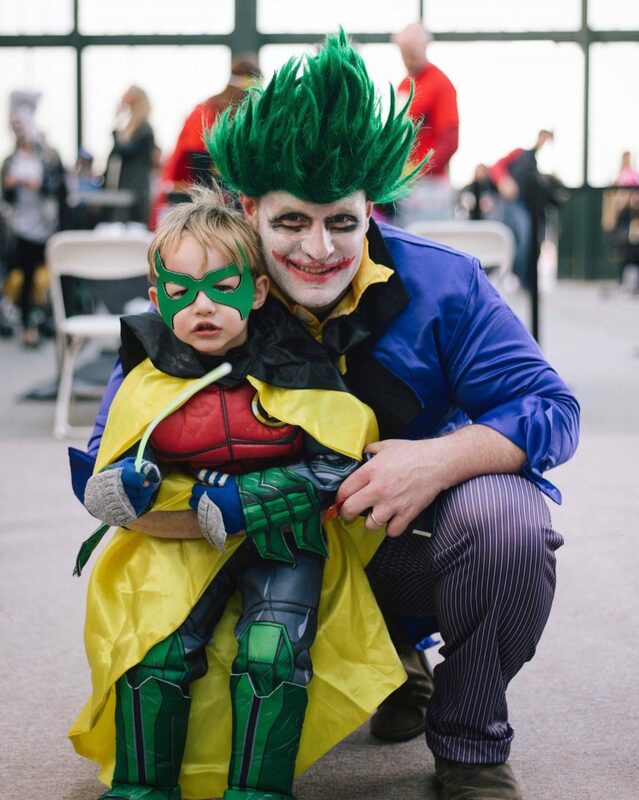 BOO at the Zoo is here for the whole family, and offers the best of candy, crafts, costume contest, a stunning hypnotist, pirate ship, animals and more. This is an event your family wouldn’t want to miss. The biggest pumpkin patch event of the year is finally here. This traditional a fall event is the perfect family event with activities going on throughout the day such as pumpkin picking, hayrides, pumpkin carving and painting, crafts and much more/ Additional charge for pumpkins (cash only). Cost: $12 Child, $8 Adult, Reservations are strongly suggested to be made here. Barnegat’s Fall Festival is here for its 7th Annual Fall Festival. The event will feature Halloween Costume Contest for children and pets. Registration is from 11-1130am in the recreation center. Free pumpkin painting, snack decorating, scarecrow making, inflatables, giant slide, bounce house, and Craft vendors, and food for the whole family. This is also a great opportunity for NJMOMs and dads to see all the great programs the recreation center has to offer. The Spooky Terminal is BACK and there will be lots of fun activities for kids and for families. The fun includes: a bouncy house, magic show, dance party for the kids, a juggler, cotton candy, cookie decorating, costume contests, face painting, and so much more. The Long Branch Fall Festival & Pooch Parade will feature arts & crafts, touch a truck, bouncy rides, a costumed pooch parade, a kids costume parade, and craft vendors. There will also be a DJ present the entire day as well as costume characters. The great shops of Pier Village will also be participating in trick-or-treating so make sure your kids come prepared to bring home some sweets. The Fall Festival will also run with The City of Long Branch’s 2nd Annual Fishing Tournament. Fishing can take place from Sandy Hook to Allenhurst and will only include Striped Bass. The application lists the tournament’s rules and regulations. The Shamrock Society in conjunction with the Irish American League are sponsoring an Irish Festival. Bring the whole family out to celebrate your inner Irish pride. The annual Perky’s Pumpkin Derby is here finally. This incredibly fun and family friendly event grace Point Pleasant. This is one of the most unique events for the Fall season, and your family will not want to miss out. The Halloween Spooktacular of the year is here, and with perfect timing. The best Halloween Costume Family Parade will have 4 hours of unlimited fun, activities for the entire famiy, and of course the best Halloween Costume Family Parade around, with Costume prizes. Other treats include: Dance parties, cotton candy, puppet shows, carnival games, drums, jugglers, spooky decorations, and picture corners. All the scariest and spookiest hallo-TEENS, ages 13-17 are invited to visit the ghoulish graveyard and touch some creepy crawly critters! Your family can catch a scary movie on the Farm as well as an added treat. Halloween mixed in with some Science will be the perfect event for your whole family. Kids are encouraged to come in costume and participate in the contest. Prizes given for 1st, 2nd and 3rd place in three age categories, and creativity. Along with the contest, there will be Slime making, interactive stage performance from Mad Science in the Auditorium, and Laser Halloween show in the Planetarium. All Ghouls Food Trucks comes with a splash of Chowder Weekend, and there isn’t a better combination around. Along with a souvenir Laurita Wine glass, there will be 3 Live Bands each day, a Wine Bar and Tasting Tent featuring Laurita Wine, 15 savory and dessert food trucks, a bounce house, checkers, Connect 4, hula hoops, and face painting with Macaroni Anne. Historic Village will be the best venue to celebrate the fall and the early traditions of All Hallow’s Eve. This tremendous time of year when the boundaries between the supernatural world and the human world are at their thinnest, and can be celebrated with friends and family. There will be pumpkin picking (limited quantity), horse and wagon rides, historic games, storytelling, and a costume parade and contest for children 10 years and younger. Cost: $3 Child, $5 Adult, Horse and Wagon rides are an additional $7/adult and $5/child. Tractor rides are an additional $4/adult and $2/child.